Both rantau abang and cherating is owned by the state government whereas ma’daerah is handled by BP. If you wish to see turtle laying eggs, then the above three is not the place. Leatherback turtle who used to frequent rantau abang is no more there. 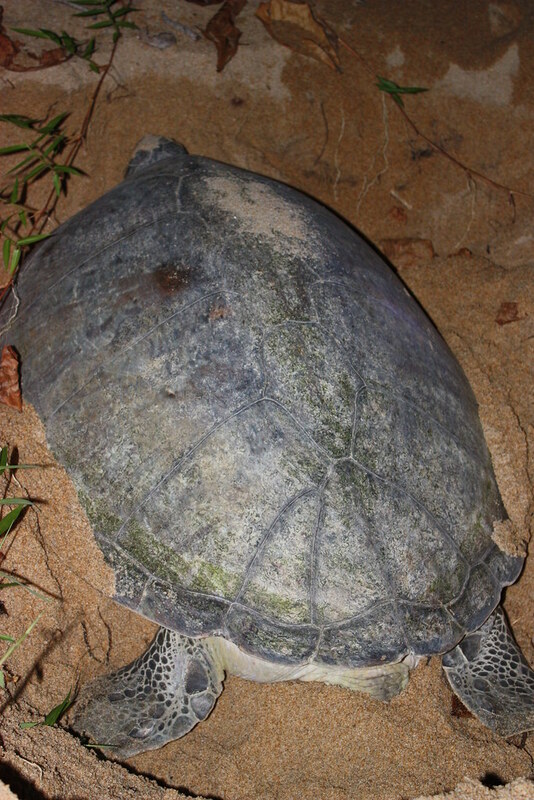 Most turtles landing are green turtles with sizes around 800 mm to 1.2 m max. My wife and I was on a road trip to find these turtles and she wanted to see and touch real turtles and we finally had the chance. It can be found in pantai teluk mak nik (not a santuary). It is an open beach but at night you need a tour guide from the locals to search for the turtles. One if the main man there is Pak Su (you can find his Profile in FB under Pak Su Cherating). With a minimal fee of rm30 he will share his experience with tourists on the turtles. Tourist will first assemble and let to hold baby turtles. His rangers will scout the 3 km beach looking for turtles. Once there is a sight, everyone will walk in a line to the area to view the turtle laying eggs. After which we will release the baby turtles. A good season to go there is between End of May to end of August. Some days will have even 15 turtles landing. Depends on your luck. Giant Green Turtle preparing a hole to lay it's eggs. Spent the weekend learning to surf at Satusuku surf school, was great experience and most importantly good instructors. My friend had the misfortune of going to a different surf school that was not officially qualified and tho he had fun, it was not the same experience. Will be back again! Best place for beginners. I was a beginner and I realise that a place like this are hard to find today. Really good staff that are helpful and give you tips and recommendations that are easy to understand. Enjoyed every day here. Cherating is one of the best places for surfing. Limbong art batik is located at cherating beach. I have always wanted to try and did not expect it took almost one day to create batik from scratch. There are few sizes of batik you can choose, but I choose large cloth to paint my batik. The owner was very kind and taught me how to make batik step-by-step. She also shared stories and experience. At the moment I was clueless what motives and patterns to finish my batik, she gave ideas and I really love it! I highly recommend this batik class to everyone. This is how you can remember your trip to cherating and bring home souvenirs that you made on your own. Tips: you need at least 2 days in cherating to do this. Day 1 you make your batik. Then we need to leave the batik overnight for drying process (owner will do it). The next day, you can come and pick up your beautiful batik. P/s: this batik can also be amazing gift to your loved ones. Just paint them beautifully. Our two 14 year old daughters took a batik class at Limbong Art in july 2013. The owner Umi is very helpful and excellent explanation of the waxing and various dyeing techniques. Depending of the size of your drawing, it takes about 3 to 5 hours to complete. After this, fixation and cooking to remove the wax is taken care of by the owner, which takes about two hours. An A3 sized batic costs RM 30, medium sized 40 x 40 cm batic costs RM50. A must-do when you are om Cherating. Our children really enjoyed it…! 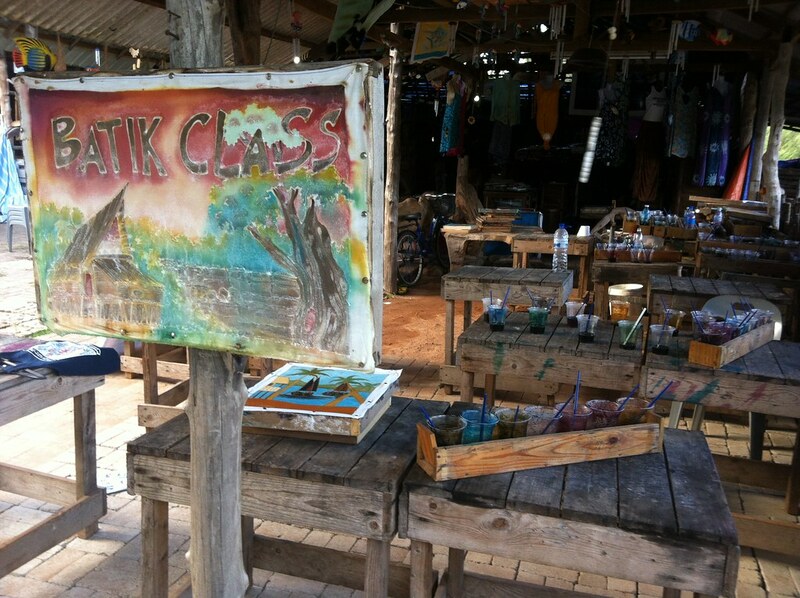 Test your artistic skill at the batik class at Cherating. This night tour was definitely one of the highlights of our East Coast Holiday. The journey started with a briefing by Hafiz (his passion for the fireflies & conservation was very evident). After the briefing everyone were assigned boats. We booked much earlier and specifically asked to be in Hafiz’s boat. The journey took us under the bridge where the main road was and we had to lie down as it was high tide….barely scraped through. Then he started explaining a little more about the fireflies while pointing them out to us. While shining a torchlight and with a flick of his palm, he was somehow able to summon the fireflies to all the boats that were there. We had many fireflies coming right into the boat and landing on our bodies or palms. My family and I decided to go with Hafiz as his business was close to our B&B. We booked the 7.30 pm cruise. We got there 5 minutes to. Signed my name, paid RM$25 each adult and RM$15 for kids. There was one other couple waiting. Minutes later a bus filled with Chinese tourists arrived and the briefing room was full. We were briefed by hafiz. His knowledge about the fireflies was satisfactory. Explanations was iffy as his English wasn’t that great. There are information on the walls as well. After briefing, we were asked to don on life jackets. Was surprised to know the lady who worked there called us by name and the number of people in your group. Since my group was the second to arrive at the premises, my name was called after the first couple. That was truly nice as The tourists were starting to push their way to the front of the line. The ride overall was smooth. Try and get hafiz as your guide. We had an extra minute with him after he told the other two boats to go back to the pier. Also, he knows a lot about fireflies and he was the only one with the magic torch, able to get the firefly to fly away from the branches and come close to the boats, you are able to gentle catch them in your hands. Some would land on you! Fascinating indeed. It’s like little fairies. The ride is like one of those rides in the jungle at Disneyland. You will be In awe, no regrets. 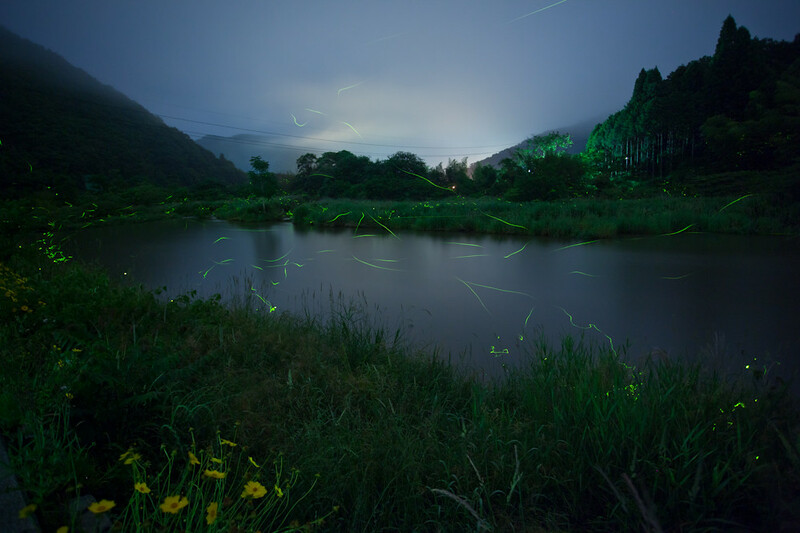 Nature awesomeness: Firefly at Cherating. Went for mangrove river cruise (around 2 1/2 hour day trip) and firefly watching (around 1 hour dusk trip) while at Cherating. Very interesting and fun for kids and adults alike. Saw several snakes and monkeys hanging from the branches during the river cruise which was a plus. The best was the firefly watching. The boat conductor (Hafiz from Hafiz’s Cherating Activities) gave us a brief but good introduction to the fireflies. The experience was quite scary as it was dark but once you go up the river, you can start to see sprinkles of light within the trees. Several to start with but after Hafiz intelligently ‘call’ them to communicate, the tree burst into thousands of lights and starts flocking to us in the boat!! Wow!! A must trip once in your lifetime. The virgin mangrove forest at Cherating. The calm blue waters of the South China Sea make Cherating one of the most alluring beach resorts in Malaysia. Located 47km north of Kuantan, the capital of Pahang, Cherating is home to the world famous Club Med. A number of water sports such as catamaran sailing and kayaking can be enjoyed here. The excellent wind conditions in Cherating make it the perfect site for windsurfing and kite flying. Hire a bicycle and explore the beach surroundings. Look out for small eateries by the roadside selling inexpensive local favorites and interesting stalls selling souvenirs. Experience the rustic and laid-back atmosphere at the Cherating Village and take home a handicraft or batik souvenir. Chendor Beach just a few minutes from Cherating is a favorite spot for turtle watching. The turtle sanctuary here is where turtles come to lay eggs during the nesting period. 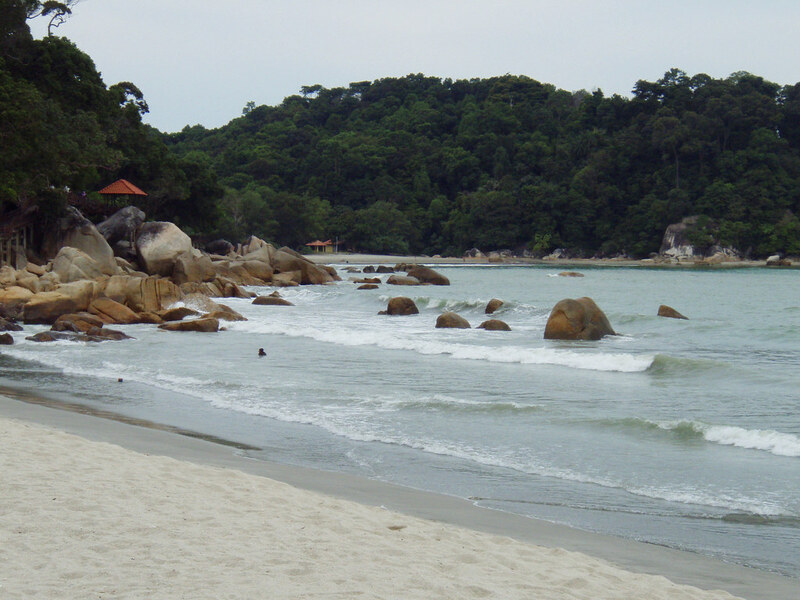 Nearer to the town of Kuantan are the beaches of Teluk Chempedak and Balok. Sailing, windsurfing and waterskiing can be enjoyed when wind and sea conditions are favorable. Beserah, less than 10 minutes from Kuantan is a fishing village. An interesting sight here is water buffaloes on the beach transporting fish to the markets at certain times of the year. One of the most beautiful beaches at Cherating, Teluk Chempedak. – Cherating is a 5-hour drive from Kuala Lumpur via the scenic route to the east coast. There are buses to Kuantan departing daily from Kuala Lumpur. From Kuantan, there are regular bus and taxi services to Cherating. Alternatively, take a bus from Kuala Lumpur to Dungun or Kemaman in Terengganu, and disembark at Cherating. – Malaysia Airlines has daily flights to Kuantan. 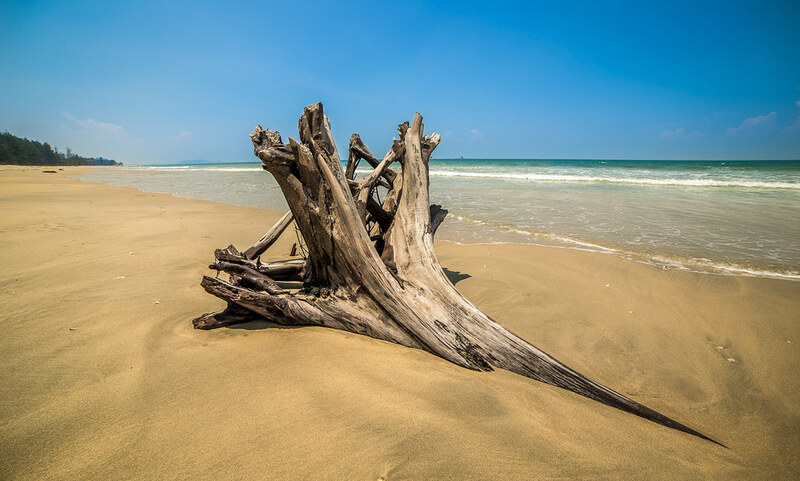 From the airport, Cherating is just 45 minutes away. Please visit the following flickr photostream for more pictures of Cherating. Cameron Highlands – The largest hill resort in the country, Cameron Highlands is filled with sprawling tea plantations, terraced flower gardens, orchards and vegetables farms. Taman Negara – Covering an area of 434,350 hectare, Taman Negara or the National Park has been a focus of plant and animal evolution longer than any other forest in the world. Check out the canopy walkway high up in the tree tops and the giant buttressed tualang trees as they tower 200 feet above you in the dense forest.